In July 2015, a new product called Znaps launched its campaign on Kickstarter and was a huge success raising more than 2 million US Dollars. It was a MagSafe like magnetic adapter which can be used with existing charging cables for mobile devices. 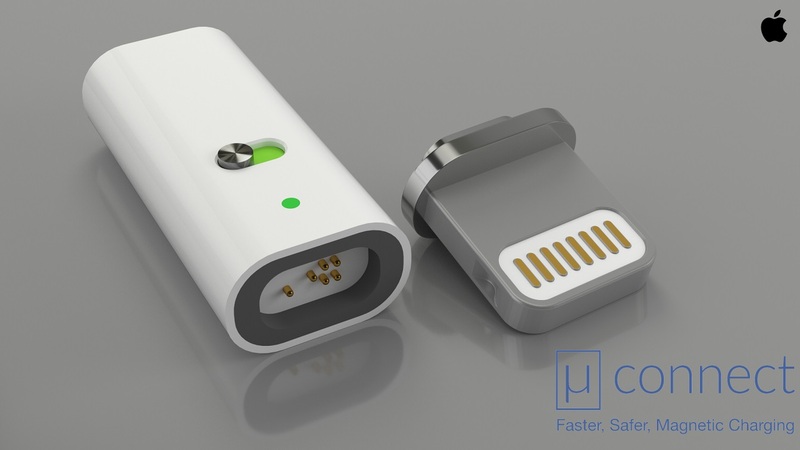 Six months later, there is a similar campaign on Indiegogo called MuConnect, which is a “Fast Charging MagSafe like connector” for mobile devices. Both products have two parts. The smaller part goes into your phone and the other part is fixed to your charging cable at all times. When brought near, the two parts align together with a snap and start charging. This easy plug/detach feature helps the user in preventing frayed cables, broken sockets, tripping over cables resulting in smashed phones and more. Both products come in Micro USB and lightning versions. The MicroUSB version adds reversibility to the cable, so it can be plugged in any direction. However, the similarities end here. 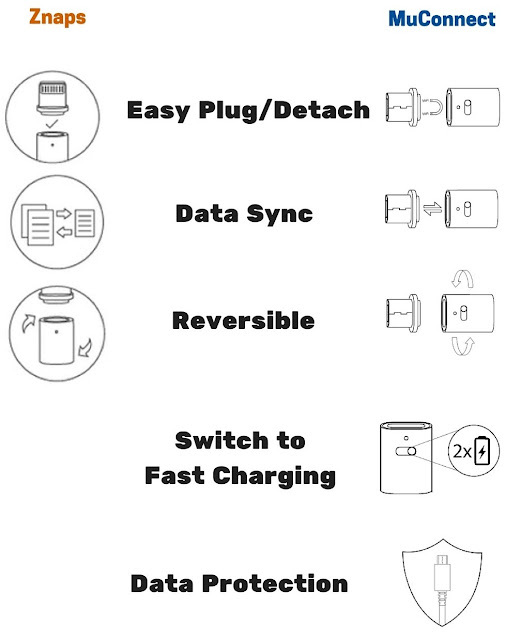 What makes MuConnect unique is a button which enables the user to switch to Fast Charging mode, which comes with a couple more interesting functionalities. Mobile devices charge very slowly when connected to laptops. Some tablets do not charge at all unless you switch them off before charging. 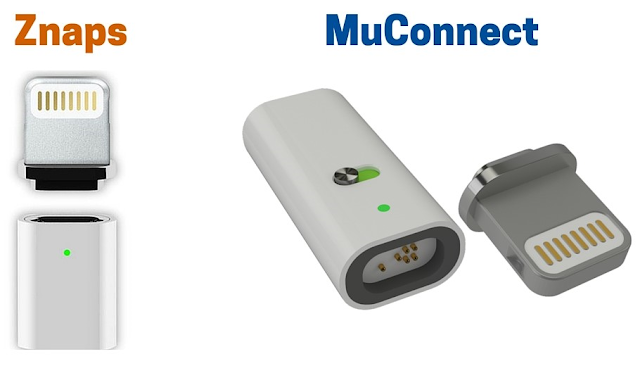 By setting it to fast charging mode with the simple slide of a button, MuConnect charges your device two times faster when connected to laptops or car chargers. When charging devices from public charging ports or others’ laptops, anyone on the other end can steal your personal data, photos, important information like bank passwords and a lot more. 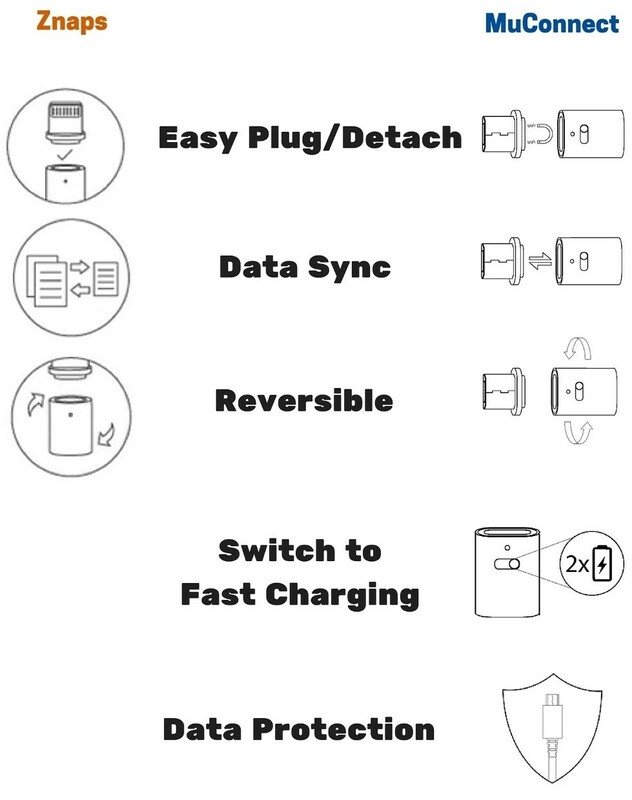 MuConnect in fast charging mode disables data sync, so it completely eliminates the possibility of unauthorized access to your data or any malware installations. You can now feel safe about charging your phone anywhere. MuConnect even with its sleek, minimalistic, elegant design, provides all these solutions at just $12.